If you have been reading right along from Hilo to Atlanta to this point in the blog, you must be as seriously interested in Japanese gardens as we are. And if that’s true, you may wish to have one or more of these conference/symposium/workshop events on your schedule. 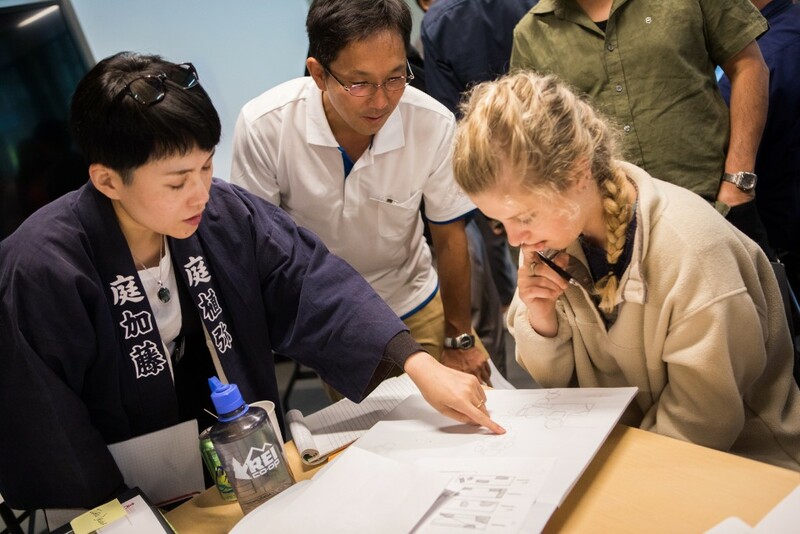 The 7th International Symposium on Japanese Gardens: Japanese Gardens in the 21st Century will be held in Sydney, Australia, September 1 through 3. Early registration deadline already has passed. Among featured speakers are Mr. Iwatani, Mr. Yamada, Mr. Shiro Nakane, Ken Lamb, Kendall Brown, Mr. Kawase, Cap Saheki, and Mr. Mitsuhashi. 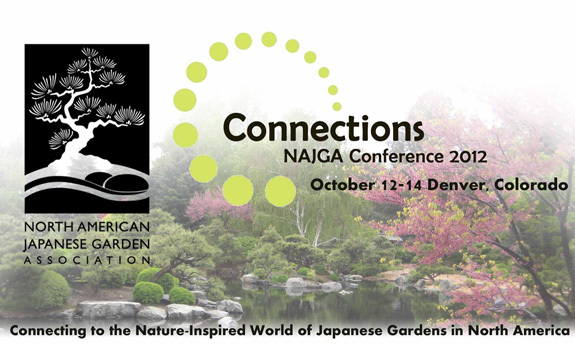 The North American Japanese Garden Association will hold Connections 2012 in Denver October 12 through 14. The roster of speakers includes garden designer and author Marc Peter Keane, educator of Nishikigoi Mamoru Kodama, Writtle College, Essex, Reader in gardens and designed landscapes Jill Raggett, Portland Japanese Garden curator Sadafumi Uchiyama, Anderson Japanese Garden curator Tim Gruner, certified aesthetic pruner MaryAnn Burman, Chiba University professor of horticulture Eijiro Fujii, and garden artist and author David Slawson among others. Hands-on workshops are planned at the Denver Botanic Gardens. 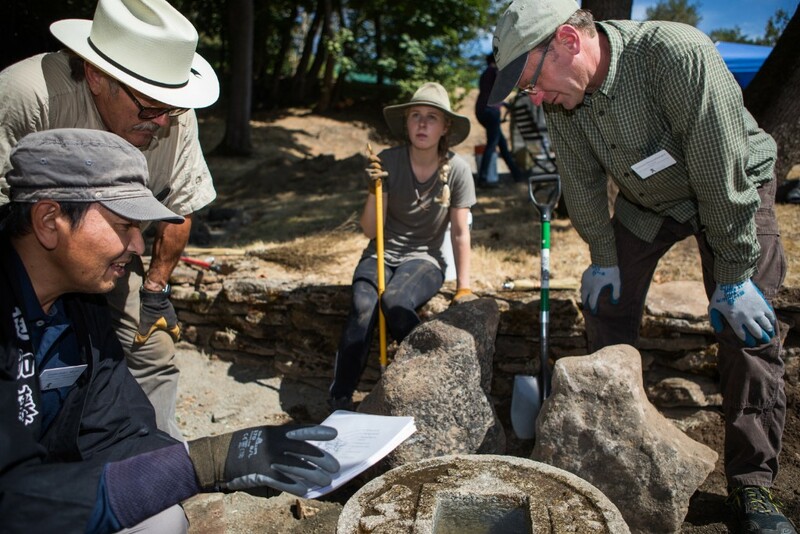 The Maple Society will meet October 19 through 21 in Seattle with a post conference tour to Oregon October 22 through 24. Speakers at the “Pacific Northwest Fantasyland Maple Adventure” include Matt Nichols, co-owner of Nichols Nursery, Flat Rock, NC; Charlie Morgan, owner Amazing Maples, Mukilteo, WA; David Degroot, author and Curator of Pacific Rim Bonsai Collection, Federal Way, WA; Don Brooks, Director Kubota Gardens, Seattle, WA; David Zuckerman, Head Horticulturist Washington Park Arboretum, Seattle, WA; and Talon Buchholz, owner of Buchholz & Buchholz Nursery, and plant introductions extraordinaire, Gaston, OR. Gardens to be visited during the conference include Kubota Gardens, Washington Park Arboretum & Japanese Garden, Bellevue Botanic Garden, Rhododendron Species Foundation, Weyerhaeuser’s Pacific Rim Bonsai Collection, South Puget Sound Community College, Amazing Maples and Bloedel Reserve. 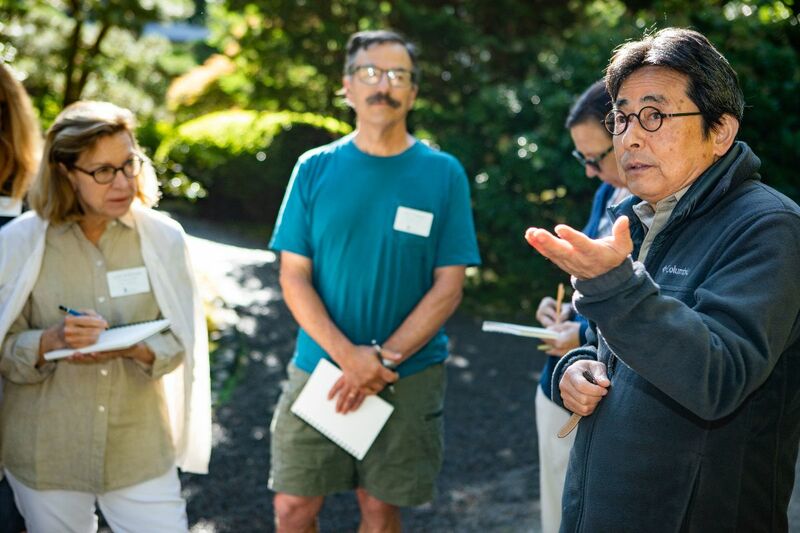 The three day post-conference tour includes Portland Japanese Garden, Hoyt Arboretum, Buchholz & Buchholz Nursery, Iseli Nursery, J. Frank Schmidt Nursery, Don Schmidt Nursery, Whitman Farms, Oregon Botanic Garden, and Munn’s Nursery. Every botanic garden we visited, and many we haven’t yet seen, had some schedule of workshops, speakers or art exhibits. For example, every Tuesday, Wednesday and Thursday at 10:30 a.m. the Atlanta Botanical Garden offers a strolling tour with a knowledgeable volunteer. The Birmingham Botanical Garden has a Fall Plant Sale coming up October 20, 9 a.m. to 5 p.m. and October 21 noon to 4 p.m.
Fort Worth’s Japanese Garden will celebrate its annual Fall Festival 10 a.m. to 5 p.m. Sunday, October 27. September 1 is opening day of the Dinosaur Stampede at San Antonio Botanical Garden. Sunday, August 5, is family day at the Elizabeth Hubert Malott Japanese Garden in Chicago Botanic Garden starting at 11 a.m. hands-on activities related to Japanese arts and culture. Family Sunday repeats on September 2. Denver Botanic Gardens has a number of activities around the general theme Kizuma: West meets East. Large site-specific bamboo art installations by Tetsunori Kawana and Stephen Talasnik continue through November 4. 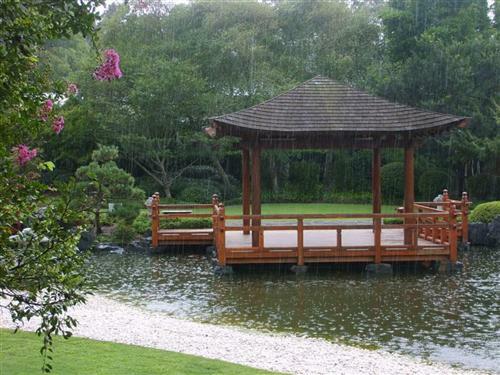 A lecture on Japanese gardens in the US will be given by curator Ebi Kondo Wednesday, September 12. “Growing Autonomy – Gardening at Japanese American Internment Camps” is a talk by Dr. Bonnie Clark scheduled for Wednesday, October 10. 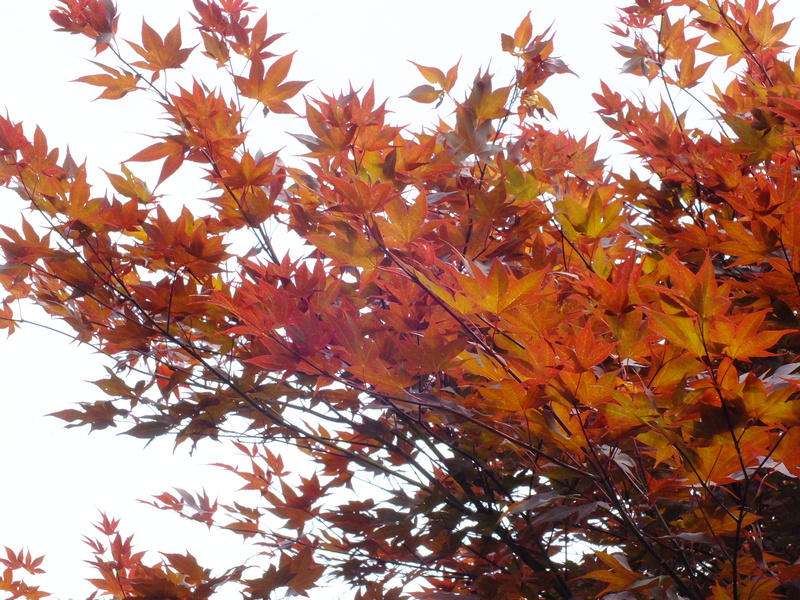 Moonviewing or O-Tsukimi is slated for full moon in autumn Saturday, September 1. Check the web sites of gardens near you for current events. There is a list of links to gardens we visited. Just click on Links at the top right side of the first page of this blog to get you started.